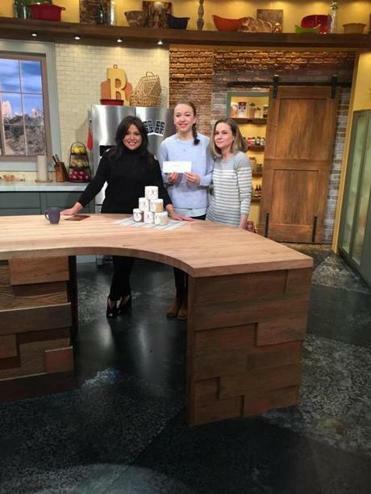 Rachael Ray (left), Grace Connor (holding a check for Dana-Farber), and Grace’s mom, Melissa Schneider, on the set of Ray’s TV show. Little g ice cream is now sold at Whole Foods Market locations. “I run the business, my dad is my deliveryman, and my mom helps in the kitchen,” she said. And she still gives back. Connor will be hosting charity events at the Jimmy Fund Clinic at Dana-Farber Cancer Institute, and Rachael Ray surprised Connor with a $5,000 check from Berkshire Bank for her next fund-raiser at Dana-Farber.